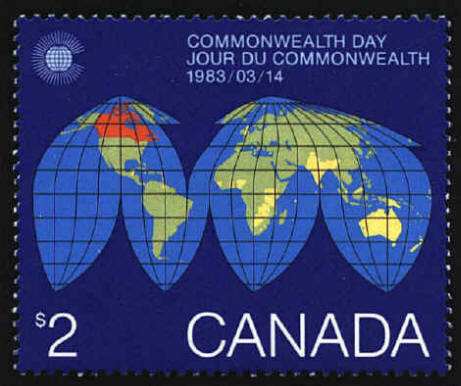 On the stamp issued for Commonwealth Day in 1983 New Britain and New Ireland are shaded green for non-members of the Commonwealth, though they are members. The Republic of Nauru and Western Samoa are omitted altogether. The North Cape of New Zealand is separated from the North Island. Gibraltar is colored yellow indicating independent status which it does not have. Like Nauru and Western Samoa, The Gambia is left out.